The following article was authored by Jasmine Swoope and originally published on BuildHoustonOnline.com. Houston, we have a Super Bowl! It has been more than a decade since the Super Bowl was hosted in Houston, Texas. 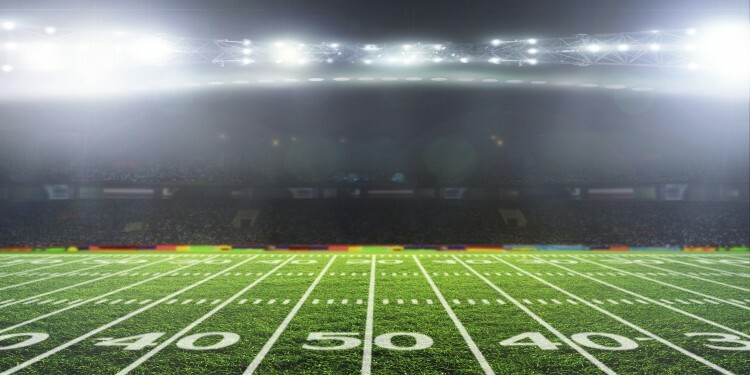 Every year the Super Bowl, the unofficial American holiday, is the NFL’s crowning achievement, heaping massive amounts of attention on whichever city is tasked with hosting the ubiquitous event. More than 70,000 fans attended Super Bowl XLIX. With the guaranteed influx of football fans planning their trip to the Bayou City, many Houstonians may fear the inevitably crowded restaurants, congested roads and overflowing venues during the weeks leading up the event. However, there is a silver lining for all the locals to look forward to when the Super Bowl touches down in 2017. For anyone who has seen downtown Houston—or any part of Houston— it is hard to miss the roadblocks and construction happening all over the city. “There has definitely been a tremendous uptick in construction activity since the announcement of Houston hosting the Super Bowl—all of these projects contribute to a more dynamic experience for the visitor and residents,” A.J. Mistretta, Houston First, Sr. Public Relations Manager said. From a new convention district, and dazzling hotels, to smoother transit, and delicious dinning options, Houstonians can look forward to a more vibrant downtown post Super Bowl. Many Houstonians are working overtime to get ready for the big event. Sunday, February 5, 2017, thousands of fans will make their way to our fair city to pack NRG Stadium. Throughout the event, visitors and locals will experience Downtown Houston’s long awaited facelift. The Houston Super Bowl Committee (liaison between the city of Houston and the NFL), Houston First Corporation and many construction companies are deep into the planning phase to help support the many events and activities preceding the game, including a 10-day Super Bowl Center at “Houston’s Front Yard”—Discovery Green, according to the Super Bowl Host Committee website. The Host Committee anticipates upwards of one million visitors to experience Super Bowl activities in the two weeks prior to the Super Bowl. NPR reported that Super Bowl host cities could earn upwards of $200 million to $500 million for the local, regional and state economies in additional business revenue during the event. It is no wonder that construction is in full force. One of the biggest projects, lead by the Houston First Corporation, is the renovation of the George R. Brown Convention Center and Convention District. The George R. Brown Convention Center is being transformed from a large, blank slate venue to a more interactive haven for events. Mistretta, describes the model as “inclusive”. He explained that it’s a trend now for cities to design their convention centers for the local residents as well as the visitors. Due to the Super Bowl coming to Houston next year, the overall deadline for many construction projects has been moved up to meet the needs of the upcoming event. A major benefit for many constructions companies is having their work recognized and viewed by those that visit and live within that area. The Super Bowl is providing an opportunity for many Houston construction professionals. “The novelty of being a part of the creation of these buildings, even after the project is completed, is a piece of what makes a career in construction so cool,” said Blaha. “There is a sense of pride for yourself and the company each time someone drives by, walks though or mentions it.” Blaha is expecting a third quarter completion date for Marek’s portion of the convention center so that development can move forward to be completely done before the Super Bowl. This remodel will allow Houston to be an option for larger trade shows and conventions. Locals can look forward to a more wide-ranging and contemporary experience. Houston will be the sixth city to carry the Marriott Marquis designation, which is reserved for large convention hotels of iconic design in the nation’s gateway cities. A sky-bridge will connect the 1,000-room hotel to the conventions center’s north end with 100,000 square feet of elegant event space, including multiple rooftop lawns. “We are working on the Podium and Tower floors, providing exterior framing and sheathing as well as the interior framing, drywall, finishing, acoustical ceilings, acoustical plaster, and stretched fabric panels,” said Martien. “One of the challenges and major focus of the work Marek is doing with the hotel is ensuring the level of sound quality that hotels of this stature are accustomed to having,” Martien said. Locals can also look forward to experiencing the crowning jewel in the hotel’s outdoor area, which includes an infinity edge pool, a Texas-shaped lazy river, and seven event lawns. If Super Bowl fans are looking at flights as an option to make the game, they can look forward to the updates at the William P. Hobby Airport. Houston Airport System and Dallas-based Southwest Airlines spent $150 million to upgrade the Airport into Houston’s second international gateway. On the horizon, passengers can expect an additional parking garage, roadway modifications, new concourse and an expanded terminal, all of which will help accommodate international flights to and from Houston. The expanded terminal has a new ticket counter, six additional security checkpoints, five new gates and a Federal Inspections Services facility for Customs and Borders Protection. Houston nonprofit, Scenic Houston, is working to upgrade the two-mile stretch of Broadway Street between Hobby Airport and Interstate 45, according to the Houston Chronicle. The multimillion dollar project includes additional tree installation, innovative landscaping, and new LED lighting and better sidewalks to create a welcoming and walkable environment. In addition to the scenic appeal, the Texas Department of Transportation is working on a $17 million project to reconstruct Broadway Street. It is plain to see that the Super Bowl will bring a plethora of people, activities and experiences for many—Downtown Houston can attest to that. The city will not know the overall revenue generated from the event until sometime in 2017, but the effects will be felt for years to come. As Houston works to beautify the city and prepare for its guests, perhaps a thank-you to the Super Bowl is in order. Once the dust settles and the adrenaline levels come down, Houstonians will have some amazing new additions and opportunities available to them at the place they call home.